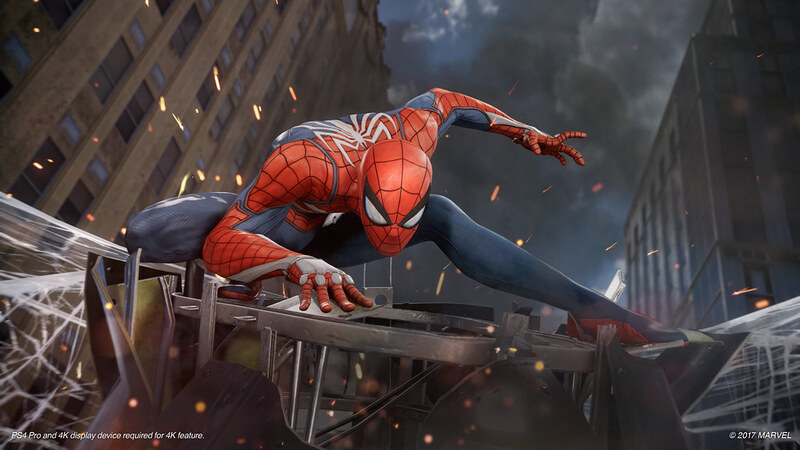 In last years E3, one of our favourite trailers was the one showcased for Spider-Man that was going to be launched exclusively for the PlayStation 4. This incredible looking game is the collaborative effort of Marvel and Insomniac Games. The best part about the trailer is that its not all cinematic and shows us actual game-play and it looks amazing. First off, this has nothing to do with the movie coming out this year. But there are suggestions that both Peter Parker and Miles Morales will feature in the game. The games universe mixes both cinematic and comic worlds and their own elements as well. This gives us a bit of both a familiar world and the thrill of an unexpected adventure. We play as a 23 year old Peter Parker, so we know he’s definitely not in high school anymore. That and he’s much more experienced as he juggles life as a millennial and a superhero. Other than that, we’ve been told that there will be a multitude of original stories in the game. The trailer is just beautiful. In it, we see our favourite neighbourhood Spider-Man make his way through a high-rise construction site owned by none other than Kingpin, Wilson Fisk. A gang called the Inner Demons is bullying the pants off Fisk’s crew which isn’t a small feat. As he makes his way through the site, taking care of baddies using the environment, his parkour skills, web shooters and martial arts, Spidey uncovers that the leader of the Demons is a well known philanthropist of the city, Martin Li. But his alter-ego, Mr. Negative is the main bad guy behind the evil doings. This takes us on a thrill of a roller-coaster chase through downtown New York. We hang on for dear life to an escaping helicopter while taking care of debris falling on the city and making sure everyone possible is safe as much as possible. 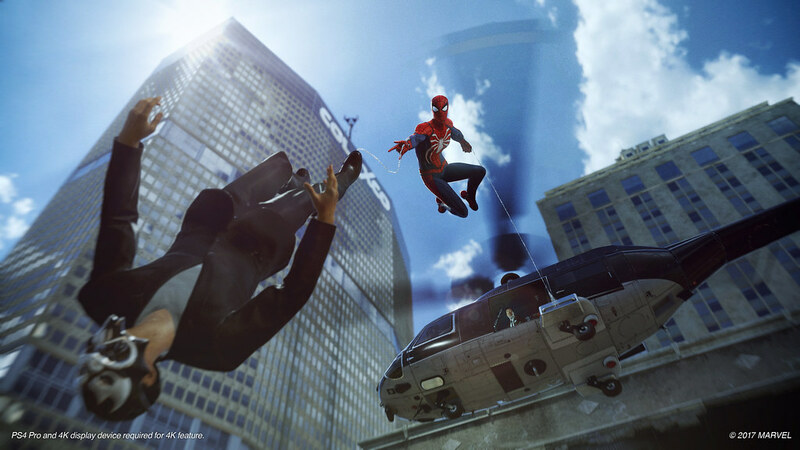 During the demo, you’ll see Spider-Man perform a lot of his powerful improvisational and acrobatic combat style. He’s definitely fine tuned his skills, he’s stronger and so much better in combat. Dodging, using webs, and aerial combat are all second nature to him as he weaves in and out of the city and through obstacles and the various henchmen the city has to offer. Unfortunately, we won’t be seeing this game till early 2018, and it is an exclusive to PlayStation 4 consoles only.